Firstly, David, can you tell us a little about UAP and how the management buyout came about? Over the past 20 years, UAP has grown steadily to include over 3000 product lines for the UK and export market, currently 25 countries. Our acquisition of Fullex in 2016 was a significant development for the business adding a valuable brand into our portfolio; we were also lucky to retain many loyal Fullex customers. Going forward, we had ambitious plans for growth both here and overseas. We recognised that in order to grow and support all our customers properly, we needed to take UAP to a new level. And to do that we needed experienced investors to help guide the business. From the very first meeting I was impressed by the sheer professionalism of Maven Capital Partners. It was vital that we aligned ourselves with a pro-active private equity house who shared our vision for growth and I firmly believe that we have found that partner in Maven. UAP has always been a financially sound business but with the backing of Maven Capital this has strengthened us further still. So, six months on, how has UAP changed? Maven have left the management team to run the business and so there are no fundamental changes. However, the investment has enabled us to attract high level members of staff and directors. Since Maven Capital have been involved we have appointed former Managing Director of Wickes, David Pearson as Chairman. 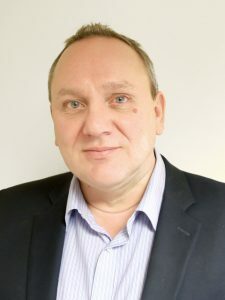 Tim Fairly, formerly Managing Director of Performance Doorset Solutions joins as Commercial Director; Stewart Lamb formerly MD at VITA has joined as Export Sales Director; Pat Rice formerly Sales Director at Masco joins as Business Development Director and Bonnie Hudson from Trutex joins as CFO. The new team has breadth and depth and is without question, amongst the best in the industry. They bring high-quality door manufacturing, specification, retail, commercial and finance experience to complement our already strong management team. With our collective knowledge, we offer unrivalled support for those seeking a stable and reliable hardware partner. Our team has over 1000 years combined experience in the industry! We have been able to use our resources better as the new management associates have brought skills with them that enable other members of the management team to spend time on their core activities. This also means I can spend more of my time in driving strategy; for example, we will shortly be announcing some major developments that will see us at the forefront of the electronic market. How have your customers reacted to the buy-out? The reaction has been very positive. Most customers see the benefit of a powerful backer, and want UAP to be an increasingly important supplier to the market. Customers also see a strong and stable supplier and this gives them confidence during these chaotic times. Which areas of the business will see the greatest investment? Our biggest investment is being made in operations which covers stock inventory, warehousing and logistics. This will mean we can supply to our customers more smoothly and they will have increased confidence that we are port in the Brexit storm. What can your customers expect from UAP in 2019? With the additional funding now available to us, it is a very exciting time not only for UAP but for all our customers. We have major plans across all areas of the business for 2019 and beyond. We will be launching some significant products which will provide new and greater opportunities for our customers. This product development is supported by increased warehousing and 50% rise in inventory. We are also increasing our expenditure in IT and warehouse bar coding to smooth our supply chain. And we expect to acquire at least one significant business to expand our operation further.